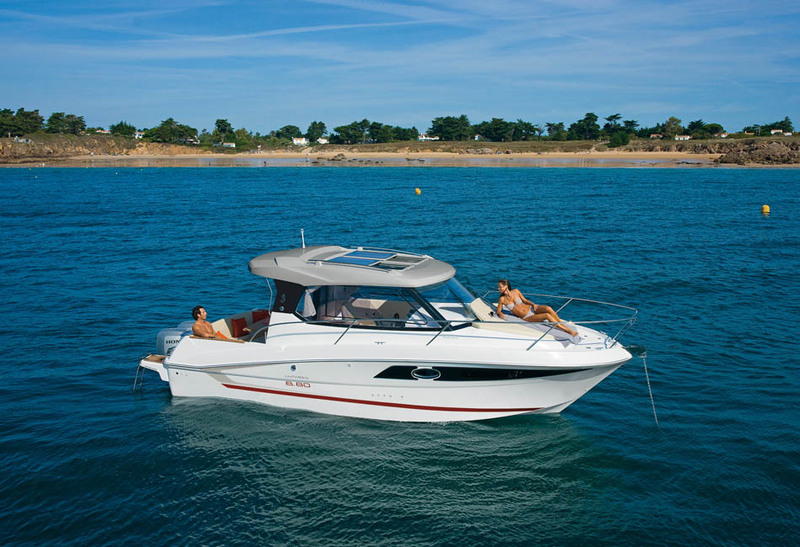 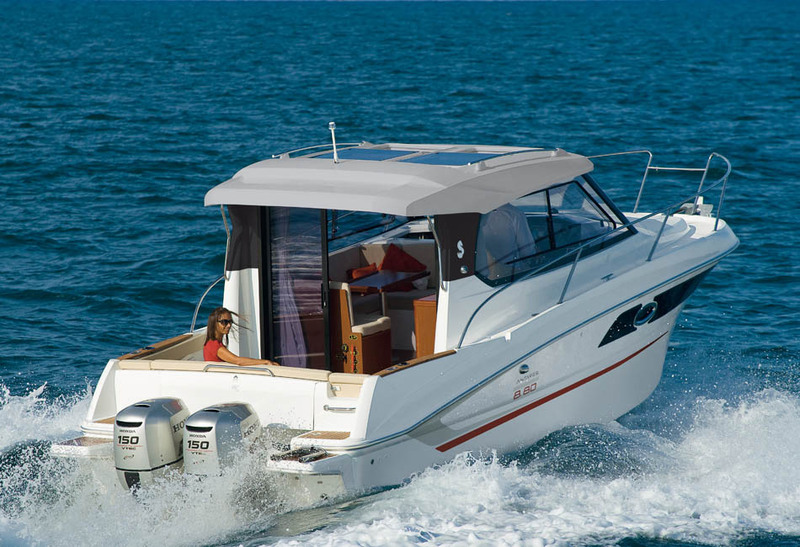 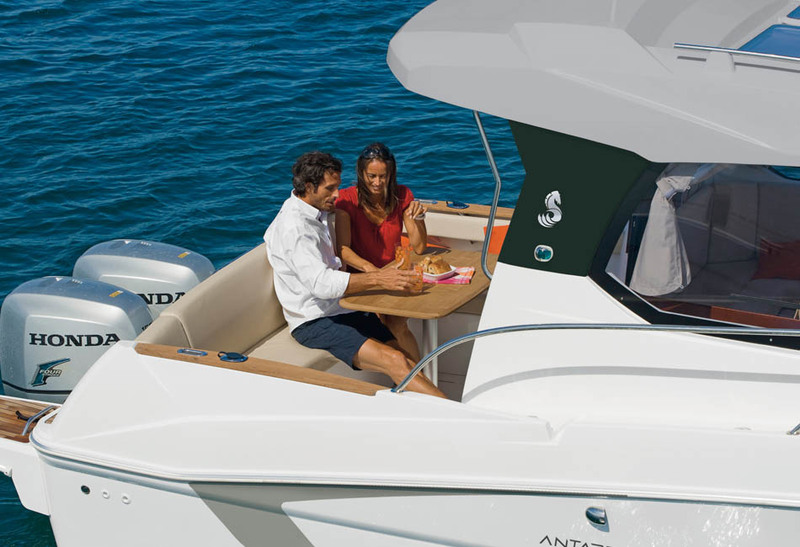 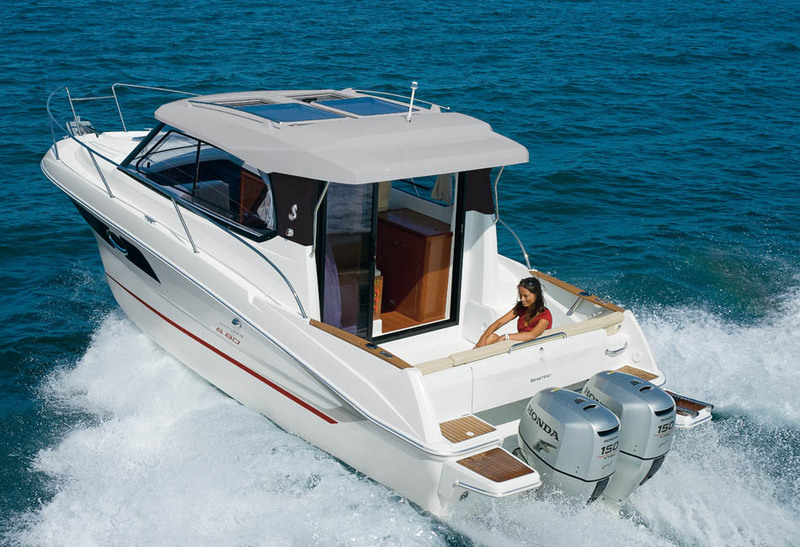 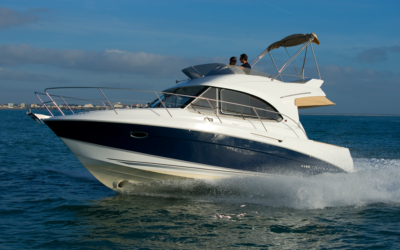 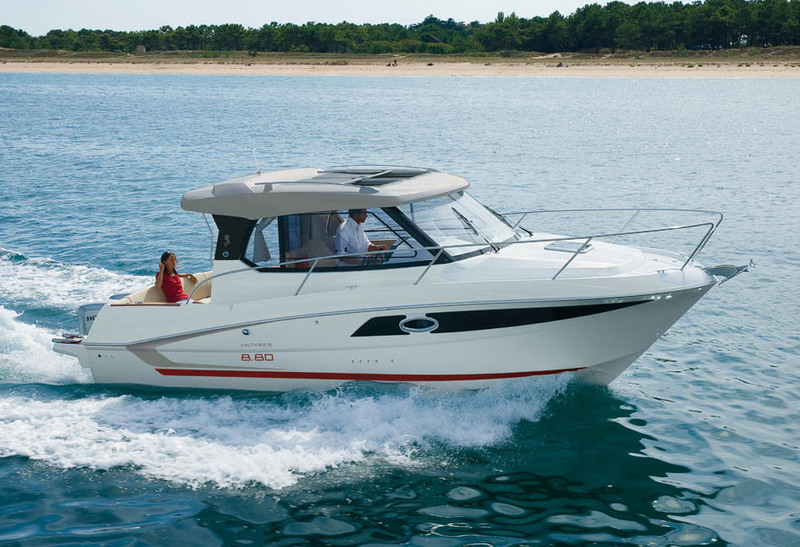 The Antares 8.80 is superior in her range when it comes to easy and comfortable cruising. 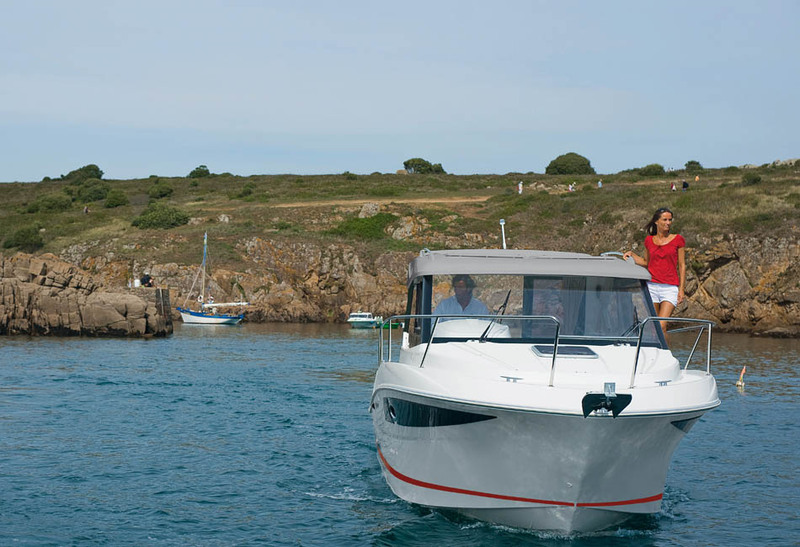 An Airstep© hull guarantees exceptional seakeeping. 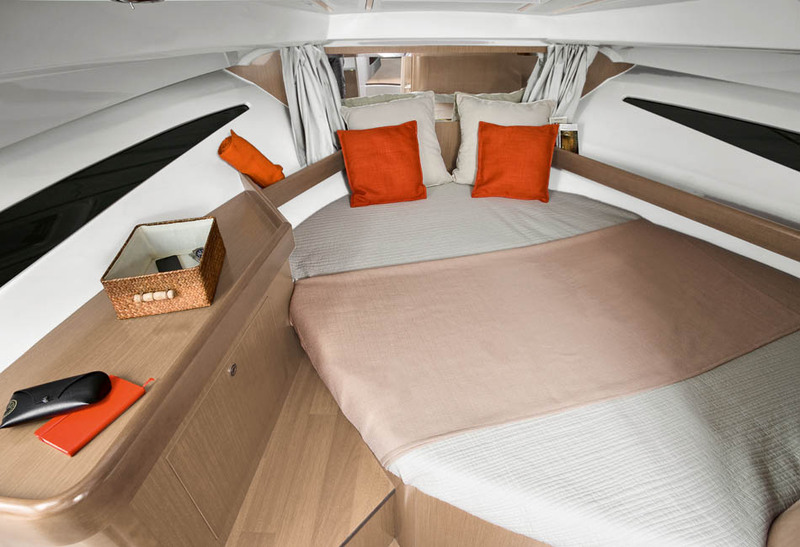 And she’s built with a real owner’s cabin, a second double cabin, a separate bathroom, and a spacious saloon. 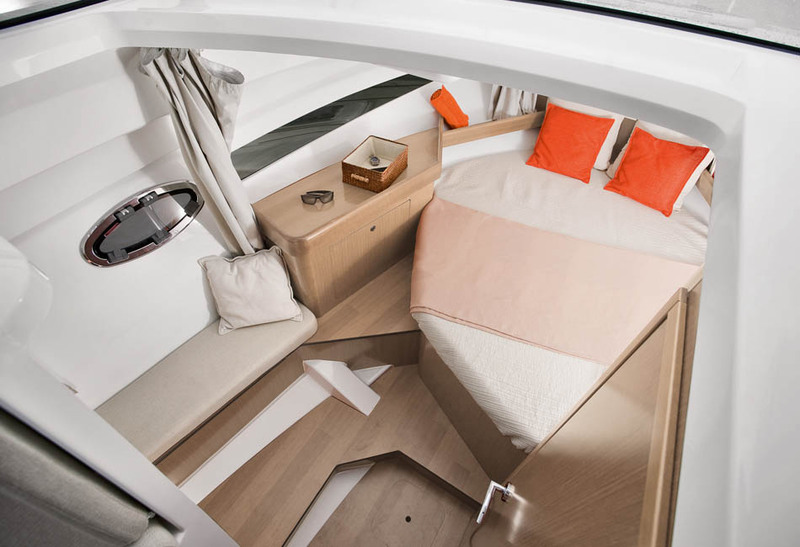 The Antares 8.80’s hull, designed by Sarrazin Design, is decorated with a stark red line which further adds to her elegance. 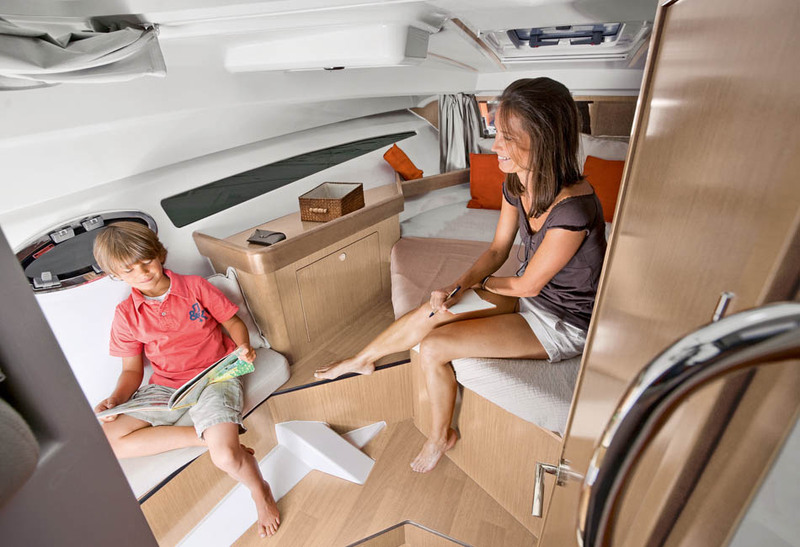 Her foredeck can be optimized with a large sun-lounger. 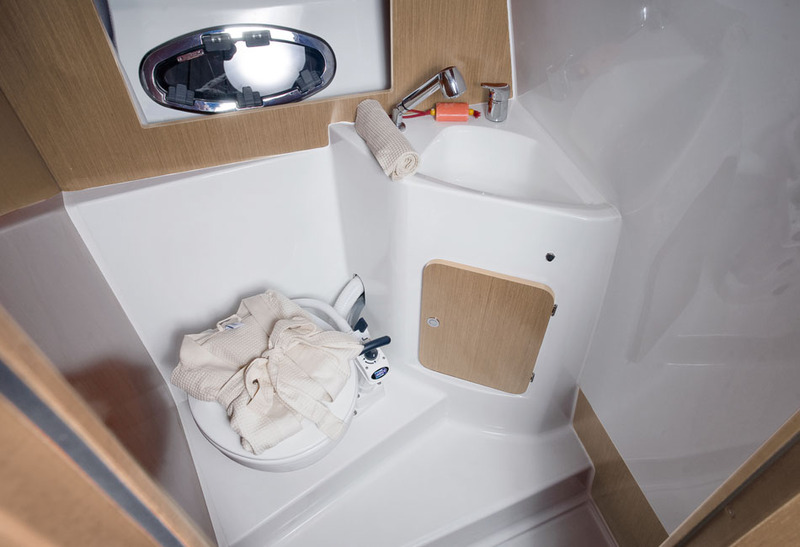 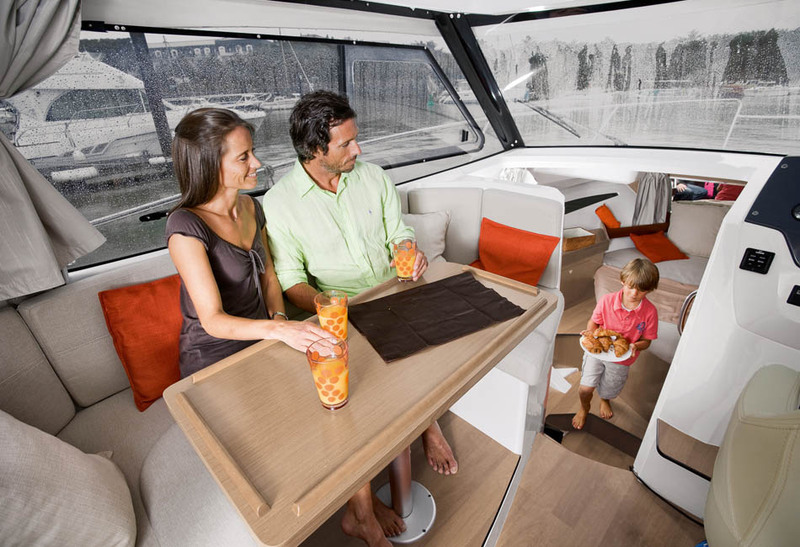 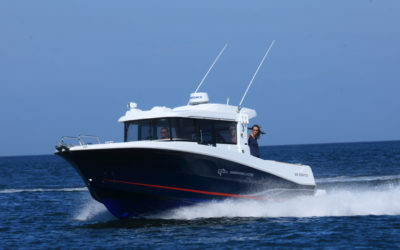 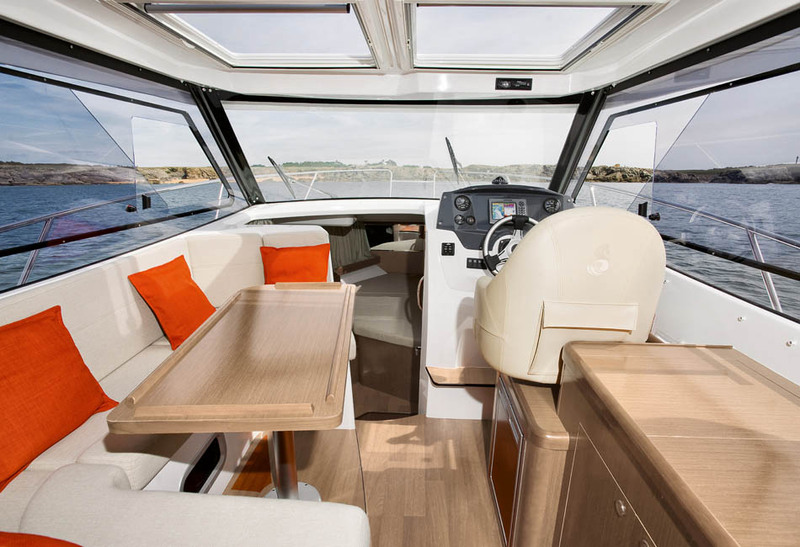 The Antares 8.80’s has a U-shaped saloon with panoramic views and berths are built into both the forward and aft cabin. 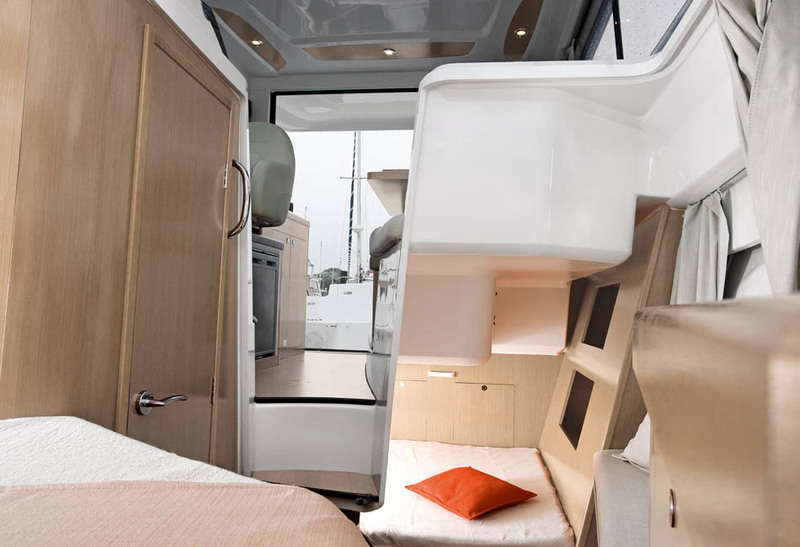 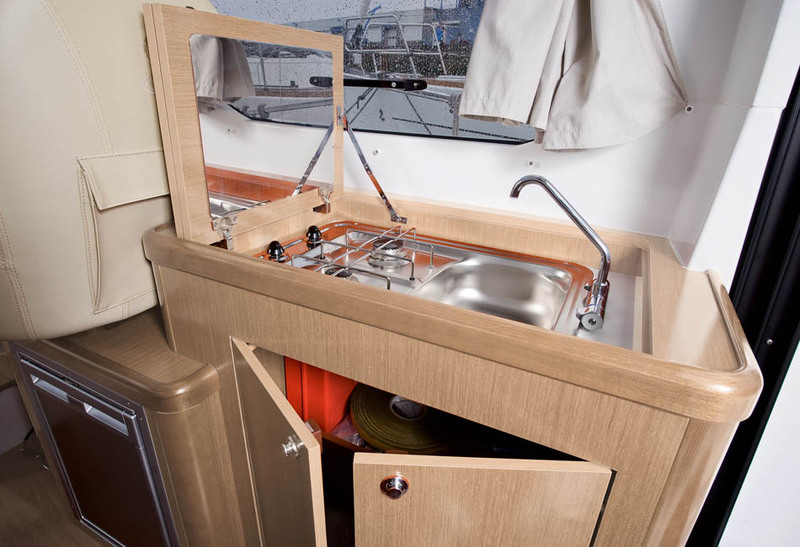 Interiors are decorated in walnut wood to match the navy curtains and beige upholstery.